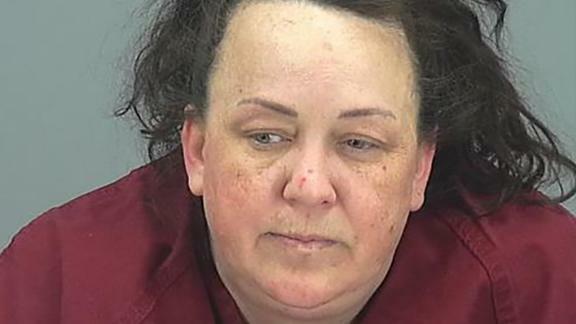 Machelle Hobson, who runs a YouTube account with 800,000 subscribers, is accused of pepper spraying her own adoptive children for flubbing lines in their YouTube videos. Police on Friday arrested their mother, Machelle Hobson, 48, on two counts of molestation of a child, seven counts of child abuse, five counts of child neglect and five counts of unlawful imprisonment. The Pinal County Sheriff's Office mistakenly had her last name as Hackney, but has since clarified her correct name. Hobson's adult sons, Logan and Ryan Hackney, also were arrested Friday. They face seven charges each. They are accused of failing to report the abuse of a minor. Hobson's YouTube channel posts a new video about once a week and boasts nearly 800,000 subscribers. With titles like "The FLOOR IS LAVA!" and "Escape The Babysitter!" each of the 10- to 15-minute episodes features the family of cute children in lightsaber battles, turning into superheroes or attempting to steal cookies.